How to get from Bangkok Suvarnabhumi airport to city | Let's Go for a Trip! 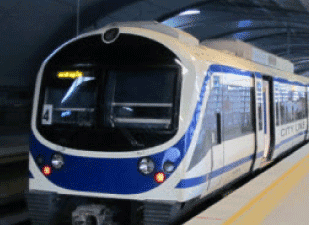 The Airport Rail Link that connects downtown Bangkok with Suvarnabhumi International Airport is a smart alternative to the airport’s express buses or taxis. This line provides transportation between Bangkok City Air Terminal (BCAT) from Makkasan to Suvarnabhumi Airport within 15 minutes, which stops only at Makkasan Station and Suvarnabhumi Station. The Airport Rail Link connects you to the MRT at Makkasan City Interchange Station (MRT Petchaburi Station) and the BTS Skytrain at Phayathai Station. However, do note that if you are carrying big and heavy luggage, this option may not be convenient as some stations do not have escalators.